on a separate note I am sleeping out in the cold of the MCG tomorrow night to raise money and awareness for homelessness through the Vinnies CEO Sleepout. If you fancy a small donation I will recognise it here on Parkz. 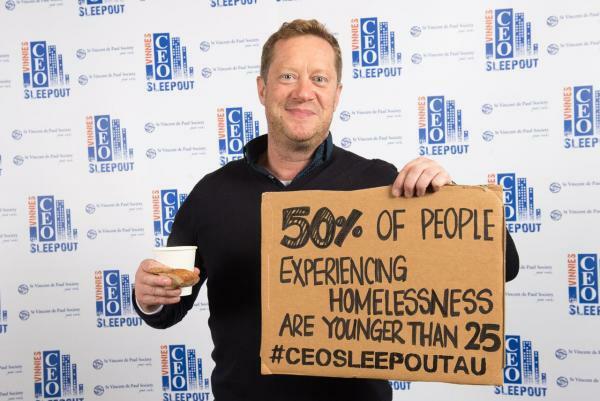 www.ceosleepout.org,au then search mark shaw and donate. The new park looks great, by the way. @Gazza the name is "Gumbuya World" not "Oz Venture Park" someone boobed! Big thanks to @IWERKS for a very generous donation to the CEO sleepout last night. Iwerks has supported my efforts every year I think? Also thanks to Jassup for your donation. Every donation counts and it is tonight folks so if you want to help those struggling on the streets, kids/wives who run away from home because of violent homes or gambling addicted fathers.....many reasons for people to find themselves on the streets and they need our help. www.ceosleepout.org.au then search mark shaw. the name is "Gumbuya World" not "Oz Venture Park" someone boobed! Not gonna lie, "someone boobed" is my new favourite saying. I'm using that. Also, realised my username is jdude95 on here, not Jassup, oops. lol. And thanks @Jdude95 FOR YOUR KIND DONATION. Thank you @loki75 for your very generous donation just now! Parkz guys are doing me proud today! Thanks on behalf of Vinnies. Thanks @Richard foryour kind donation!! This is awesome. Moved the CEO Sleepout to its own topic so we can give this the attention it deserves for the next day or so. Thanks Richard @parkz_user foryour kind donation!! This is awesome. anyone else want to donate and get me passed the $3k mark? $36 would do it! thanks Michael. You just got me to $3k. Thanks everyone! Thanks go to everyone on Parkz who donated. I got to $3,300 and pushing to get to $4k. If anyone still fancies throwing in a few $$ it would be hugely appreciated. The account does not close till July 31st. Thanks again all who donated. Brilliant. It's almost that time of the year, again. Mark's sleeping out again in June. Mark has also been in touch to say that he's got an exciting announcement coming up soon. Can't wait to find out what it is! Wow, thanks IWERKS for your very generous donation tonight. The reasons most people finding themselves homeless are not what most people imagine. The root cause is usually about traumatic experiences like domestic abuse, violent abuse by parents (unthinkable) sexual abuse, gambling/drug/alcohol abuse of parents and so many (not all) are worthy of our support. Iwerks has donated considerable amounts over the past 4 years and I think that is a measure of the man. Kudos to you Iwerks and big thanks for getting my 2018 fundraising off to a great start! His generous donation is already making a difference tomorrow. I would love the community here to support me in my efforts to raise another $15k this year. Its not easy. Every donation, small, medium or large certainly counts. Do what you can. I assure you Vinnies make every dollar count. Announcement of my next theme parks chapter coming next week. Exciting times ahead. Might want to adjust your link iwerks - that links straight to your receipt for your donation. Now you can donate as much as I have! It's a public donation. Thanks heaps Iwerks. Very generous donation tonight to get me kick started. 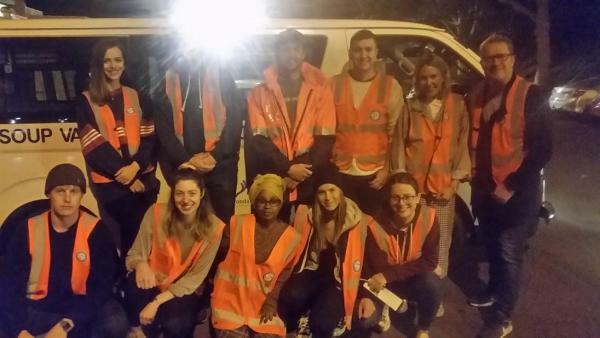 I actually spent Easter Monday evening volunteering with the Vinnies "Vannies" volunteers, making sure the homeless of Collingwood won't go hungry tonight. It was humbling and I was completely taken aback at how chipper and upbeat these unfortunate people were and how thankful, appreciative and polite, despite living in conditions most of us would think inconceivable. Even the smallest donations add up. Thank you.